Henry Holt and Co., 9780805096668, 336pp. More than a million readers have thrilled to Bill O'Reilly's Killing Lincoln, the page-turning work of nonfiction about the shocking assassination that changed the course of American history. 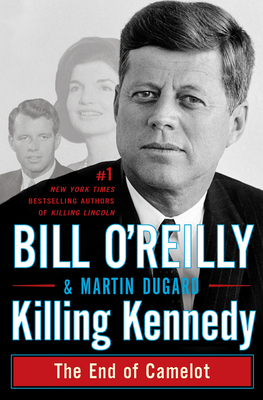 Now the iconic anchor of The O'Reilly Factor recounts in gripping detail the brutal murder of John Fitzgerald Kennedy—and how a sequence of gunshots on a Dallas afternoon not only killed a beloved president but also sent the nation into the cataclysmic division of the Vietnam War and its culture-changing aftermath. In January 1961, as the Cold War escalates, John F. Kennedy struggles to contain the growth of Communism while he learns the hardships, solitude, and temptations of what it means to be president of the United States. Along the way he acquires a number of formidable enemies, among them Soviet leader Nikita Khrushchev, Cuban dictator Fidel Castro, and Allen Dulles, director of the Central Intelligence Agency. In addition, powerful elements of organized crime have begun to talk about targeting the president and his brother, Attorney General Robert Kennedy.